"And when that day shall come, it shall come to pass that kings shall shut their mouths; for that which had not been told them shall they see; and that which they had not heard shall they consider." Before the invasion of Israel in 600 B.C., a Hebrew family was warned by God to leave Jerusalem. They sailed to the Americas and built one of the greatest civilizations ever known. This is their story as recorded over 1,000 years and their prophecies for America and the Jews. ​In 1985, during a business trip the Editor in Chief opened the Book of Mormon while staying at a Marriott hotel. Having never read it he reluctantly opened it after much prayer and was shocked to discover its authors were Hebrews in ancient America. Later it was discovered that the book had just recently fallen into public domain. 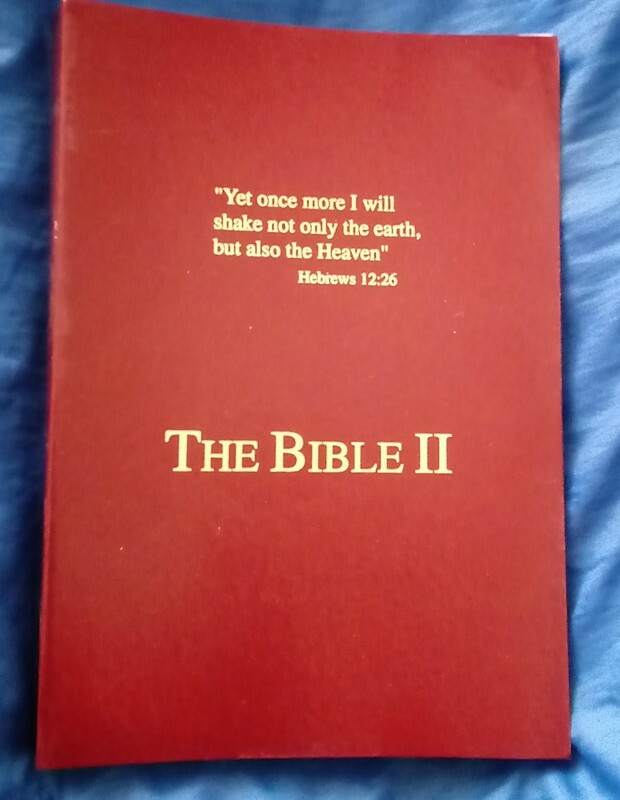 It was republished in 1991 as The Bible II without any of the added so called Mormon inclusions. Mormon was actually the name of just one of the Hebrews of the recordings of their history after arriving from Jerusalem in 600 BC. "Behold, we have written this record according to our knowledge, in the characters which are called among us the reformed Egyptian, being handed down and altered by us, according to our manner of speech. And if our plates had been sufficiently large we should have written in Hebrew; but the Hebrew has been altered by us also; and if we could have written in Hebrew, behold, there would be no imperfection in our record." “Did you know the Book of Mormon was written by Jews?” We now present Truth! "Yet once more I will shake not only the Earth, but also the Heaven"
​This is a Collectors addition in that pages were excised from it.